Teen actor Grae Fernandez took to Twitter to express his thoughts on his father Mark Anthony Fernandez’ arrest due to possession of marijuana. “No matter what people say about you,I will always be proud to be your son because you're the best dad!” the Gimme 5 member posted. 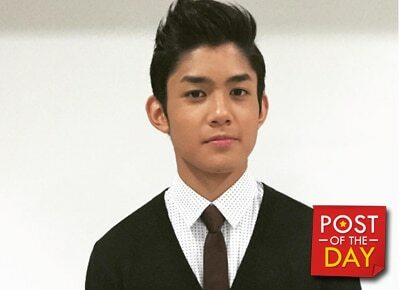 In previous interviews, Grae revealed he is very close to his father and has learned a lot from him as an actor. “Kasi ‘yun talaga ‘yung pinaka-una, kailangan mong mag-read ng scripts and you need to be early kasi kailang and discipline if you want to be a good actor,” he told PUSH.